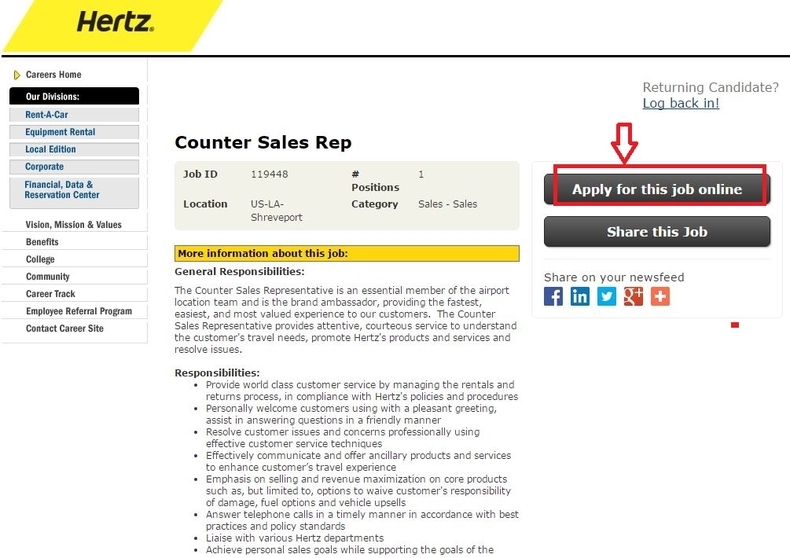 If you are going to apply for a job at Hertz, you need first and foremost to go to the Hertz careers page at hertz.jobs to search for job openings by clicking the button "Job Search". Two search methods are given in this step. 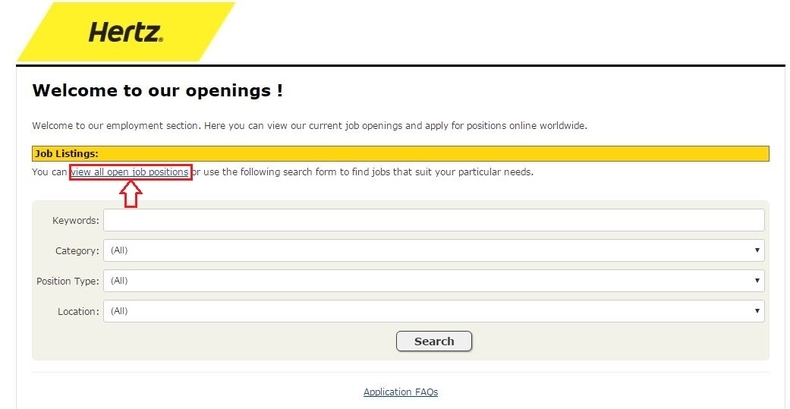 You may click the blue letters "view all open job positions" to see the job openings at present. Or you may use the search form to find your ideal position by entering key words and selecting the job category, position type and location. 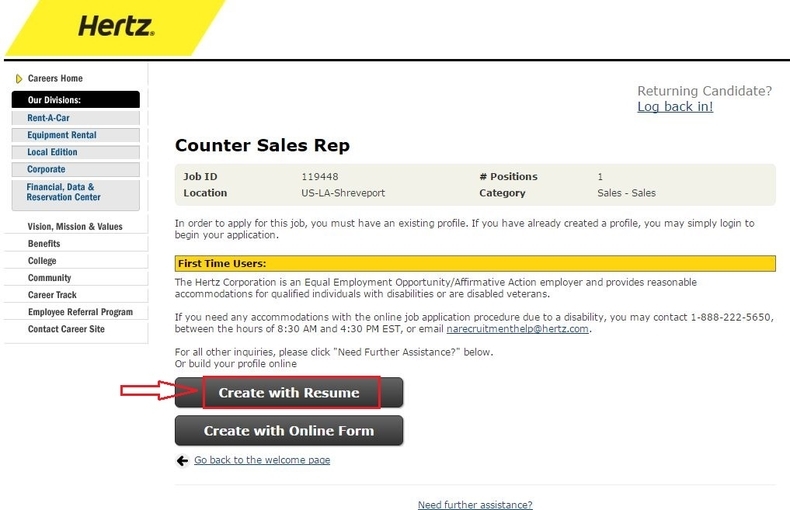 This article will take the former as an example to tell you how to apply for a job at Hertz step by step. 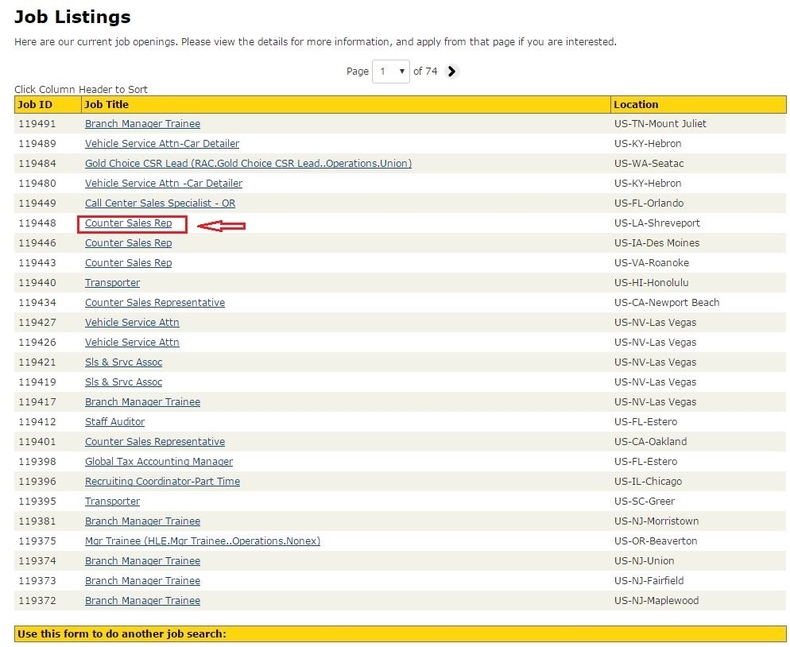 You will be rendered a page on which the list of job openings are shown. There are 74 pages in total, browse the list and select your ideal position by clicking the title directly. After choosing the position, you will go to a job description page on which description, qualified, duties and requirements about the position are listed. 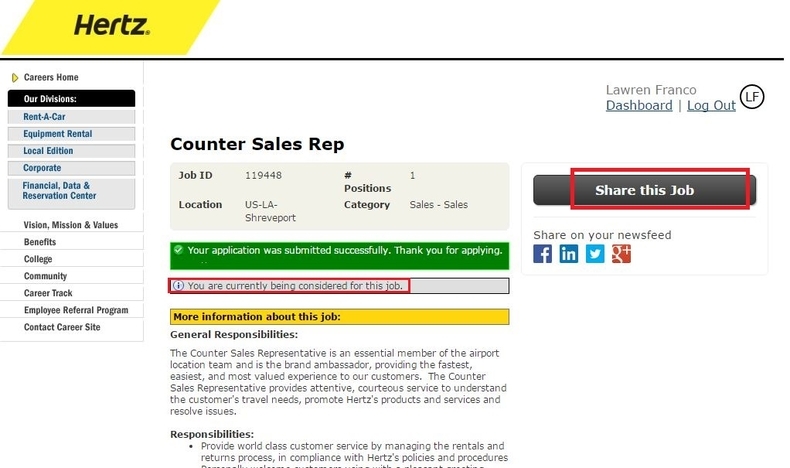 Read it carefully to see if this position suits you or not and click the "Apply for " button on the right side of this page to start your online application trip. 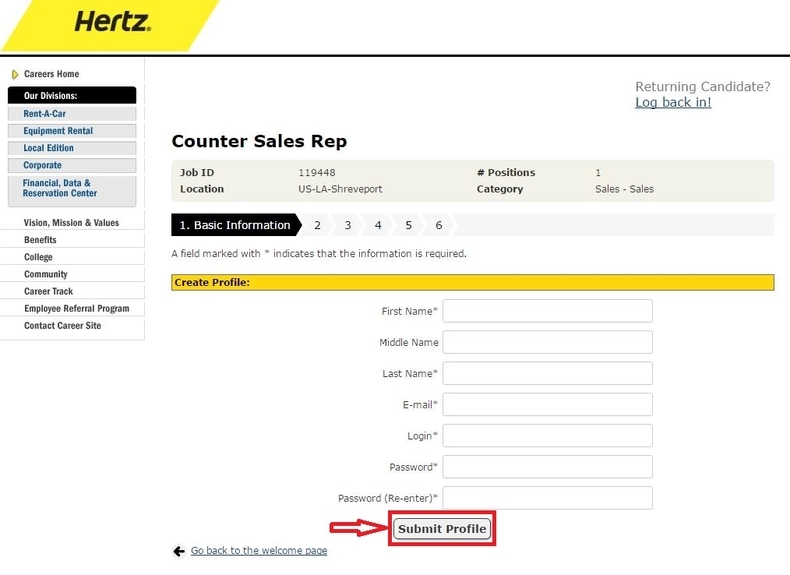 You are required to create a new account profile if you are a first-time Hertz user. Two methods are available: you may create either with resume or with online form. Here the method of creating profile with resume will be taken as an example. 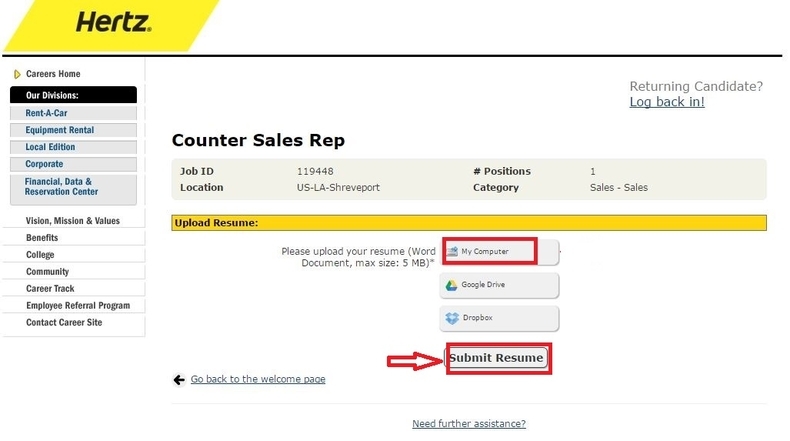 In this step, you need to choose a resume from your computer, Google Drive or Dropbox and then upload it by clicking "Submit Resume". There are six sub-steps to build an application profile. You need to finish each sub-step in accordance with the instructions. All the required information are marked with asterisk. And once a sub-step is finished, you can click the "Submit Profile" button to move on. Here information such as your personal information, employment history, education background and some specific questions are included. With the seven steps done, you finish your online application. And you can share this position to your friends by clicking the black button on the upper right side of this page. 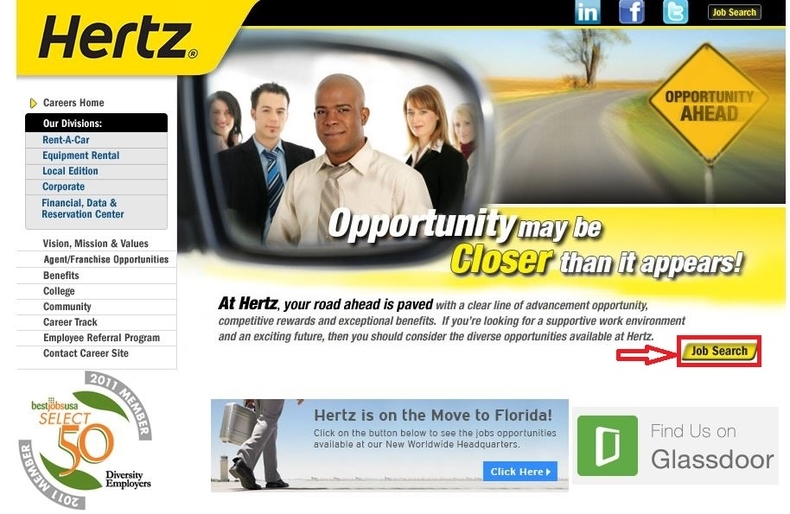 Click hertz.jobs to apply for Hertz jobs online.